Kawaii! Clamp does some awsome art, and this is a beautiful scan! Thankies! Hee hee. ^__^ That's so adorable! 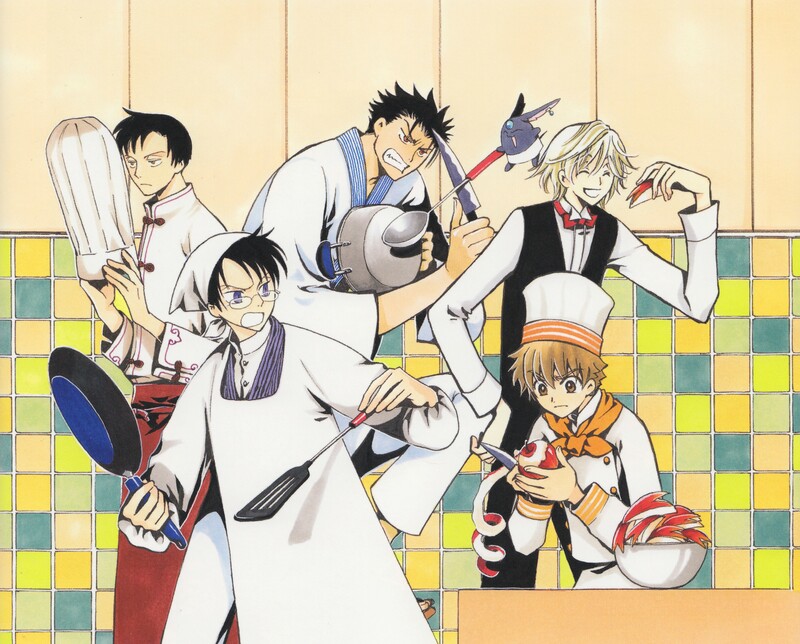 great picture with all males from xxxholic and trc!! It's such a nice scan, btw! :) Creatively hilarious! :D Syaoran sure is serious about peeling those... uhh... apples? radish? turnips? Anyway... nvm. Ahh I love this picture. Poor Kurogane has enough trouble with white Mokona eating all of his food, but can you imagine him dealing with a drunk black Mokona? This is so damn great! Gotta love those guys! Kurogane has the funniest face on this piccy. XD He's the greatest! WoW ! So Cute and Funny ! Thank You for posting this Picture, I really love this Picture ! Thanks angina for Posting this Picture :D ! They all look so ridiculously hilarious!!! :D Only Fye looks unconcerned as he's about to eat ^_^' ^_^' I love the way Kuro is!!! It's a very nice scan. Really, really nice job ! I love your idea. Hahaha its soo cute here!! What a mess, but its soo good that I must have it!! ohh theres watanuki from xxxholic! i love that manga nice scan there and the apple looks good lol nice scan!
! What a SUPER-CUTE IMAGE! 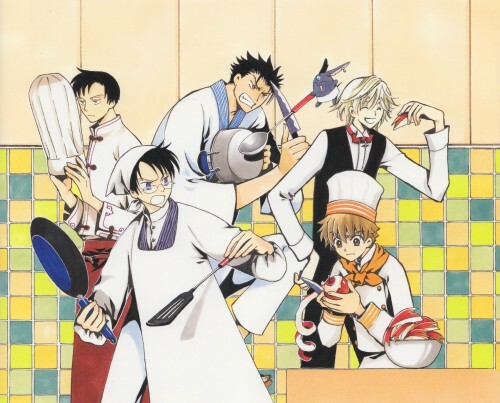 All the boys from XXXHolic & Tsubasa cooking together! Now that should be a GREAT sight! L^O^L! Is Kurogane swordfighting with Makona using a spoon and knife? I love this scan! I couldn't stop laughing the first time I saw it! Thank you for sharing! and i love you for sharing this!